This variety hails from Japan and is used to heat up many types of dishes. 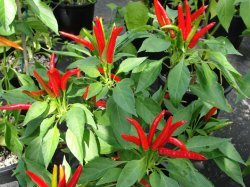 Peppers grow upright in clusters mature to a fiery red. 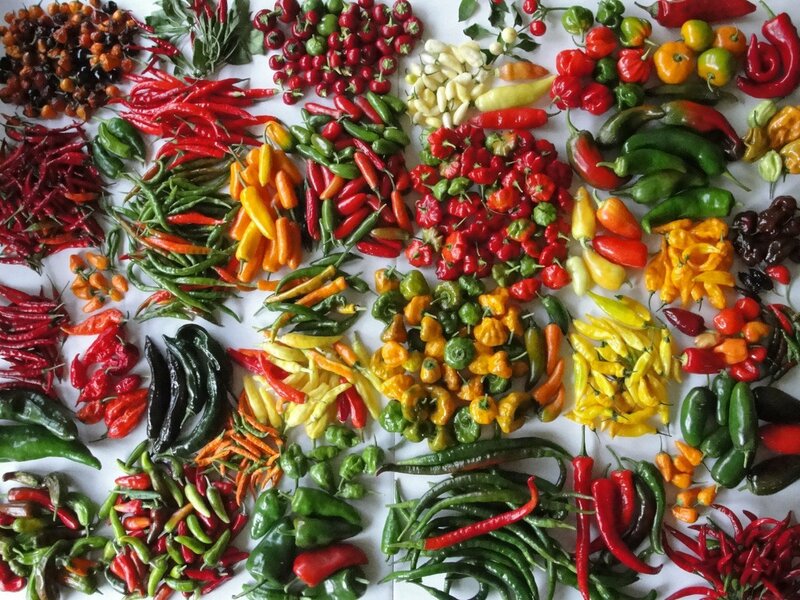 Peppers are beautiful in full bloom, and are a tasty variety that you can dry and use year round in the kitchen.